Rooftop Reviews: Happy Boxing Day! Today is Boxing Day in the United Kingdom and Canada. I’m not sure about Australia and New Zealand, though, so I’ll have to look that up real quick. Boxing Day is a confusing concept for most Americans to grasp. 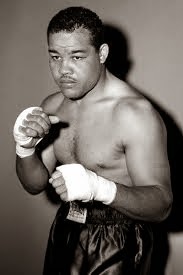 That’s why we make silly jokes about the holiday involving the sport of Boxing; as illustrated by the photo above. So, what are the roots of the Boxing Day holiday and how is it observed today? Let’s find out, if only so that next year I can post a more appropriate photo for the occasion. Boxing Day is observed in Canada, the United Kingdom, Hong Kong, Australia, New Zealand, South Africa and quite a few other Commonwealth nations which were former colonies of the UK. Boxing Day also falls on the holiday of St. Stephens Day, which commemorates St. Stephen, the first Christian martyr. The more modern roots of the holiday are really just an extension of the Victorian Age and the Edwardian Era, when servants had to work on Christmas Day. They got the following day off and were frequently presented with “boxed” gifts, some of which contained cash, while others held gifts. Often those gifts were used garments which the master had done with, and which the servant could never afford on their own. There is some controversy about this explanation being overly simplistic, but it is the most reasonable of all the explanations I have come across. It was also verified to me by e-mail from a reader in Canada who is originally from England. Today, of course, the tradition is merely that; a tradition. It is, however, held up by law in several countries. Portions of Canada, and other countries where the holiday is celebrated, have penalties for not observing the holiday. In all cases the law requires holiday pay for those who do have to work. It is also a bank holiday, with provisions made for when the day falls on a Saturday or Sunday, when the following Monday is set aside; again by law; as a bank holiday. Call it what you will; in Ireland it is the Day of the Wren; in South Africa it is referred to as the Day of Goodwill (since 1994); the holiday has as much significance as Christmas does for citizens of America. And think how lucky you would be if you came to America from one of those countries, and then continued to celebrate Boxing Day. You could take full advantage of all those after Christmas specials. So, when you think of Boxing Day remember that there is really no difference between it and Christmas. 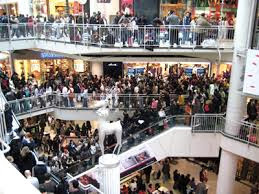 Here is a photo of shoppers in Canada as they prepare for the Boxing Day holiday. This photo could have been taken anywhere. John Lennon once wrote “I am he as you are me as you are we and we are all together.” I think he had something there. Happy Boxing Day everybody!